The awe and wonder we experience when we connect with the natural world. Our interconnectedness with Nature and a reverence for life. These voices of Nature resonate in harmony within me as I think about the beautiful Monarch Butterfly, its life cycle, and its amazingly complex migration pattern. Our aesthetic voice expresses the winged beauty of this creature. Our spiritual voice reminds us of our reverence for the life of this very delicate and interdependent insect. And, our scientific voice calls upon modern science to give us answers about the whys and hows of the monarch’s life. As these three voices are joined in a chorus, we can discern how the Monarch Butterfly, and other insects, interrelate with humanity and the Earth’s environment. 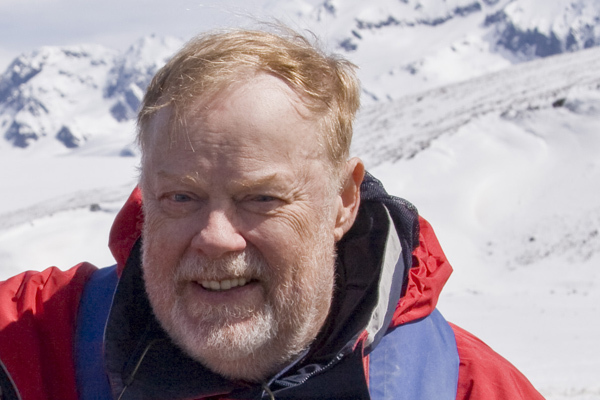 Unfortunately, our scientific voice is now telling us of a precipitous decline in insect populations. The Wild Bees and the Monarch Butterfly are two indicator species where this decline has been measured. This steep population decline of insects is a very important issue. Insects help hold together the energy web of life. Mankind depends on insects for survival in this world simply because insects are the pollinators of plants. About 80 percent of our food crops are pollinated by insects — mostly bees. We humans, like every other animal and plant species, needs the sun’s energy to exist. Plants are the receivers of the sun’s energy packed photons. This energy is captured and stored by the plant’s chlorophyll. Some animals gain the sun’s energy by eating the plants. Other animals capture the sun’s energy by eating those animals. We humans get energy from the sun by eating both plants and animals. As a pollinator of plants, the insect is an integral part of this energy flow that is essential to life. The study of the Monarch Butterfly life cycle provides us with some deep insight into the reasons why humanity is slowly destroying the energy networks that are essential for life on earth. We begin our study by exploring both the individual life cycle and the migration patterns of this beautiful creature. Much of this information is paraphrased from The Monarch Butterfly Fund Web Site. 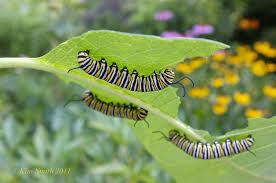 The individual life cycle of each monarch begins as an egg that is laid underneath a milkweed leaf. Only a specific species of milkweed is acceptable to the monarch for egg laying and nourishment. If there is no milkweed, there is no Monarch Butterfly. While milkweed is especially vital for Monarch Butterfly larvae, it is also an important source of nectar for many insect species. The monarch egg hatches into a larva. Over a period of 9-15 days, the larva increases its body mass about 2000 times as it grows, molting, or shedding its skin five times to allow for this rapid increase in size. It then pupates, and spends another 9-14 days as a chrysalis, or pupa. When fully developed, the adult butterfly emerges from the pupa casing, pumps fluid from its abdomen into its wings, and flies off to nectar, mate, and (if a female) lay its own eggs. The populations of adult butterflies that don’t migrate only live 2-6 weeks. The annual migration cycle of the Monarch Butterfly is both awesome to see and amazing to comprehend as some five generations are needed to complete one annual migration. This migration is usually described with the first stage taking place each spring as the first monarchs arrive in the northern and eastern United States, and in southern Canada shortly after a certain species of milkweed first appears in an area. These first monarch arrivals in the northern breeding range come from eggs laid by females who spend the winter in central Mexico and fly north to find milkweed in northern Mexico and the southeastern United States (like Texas, Louisiana and Florida) using the last bit of energy they have after their long winter. These first monarchs we see in late spring in the United States are labeled as the first generation of the annual migration cycle. These first generation monarchs lay eggs, and die. Their eggs hatch. This begins a cycle of three to four summer generations who mate, grow, lay eggs and die. Each summer generation lives up to 8 weeks and does not migrate. The monarchs that emerge as adults at the end of the last summer generation cannot cope with the increasingly colder temperatures and lack of moisture. They undergo the same life cycle as the generations before them, until they are adults. At that point, their lives are different from all other generations. Instead of mating, and laying eggs, they put all of their energy into migrating south to a climate that can sustain them until springtime. This allows them to stay alive until the following spring, when they’ll be able to fly north and lay eggs again. This migration is a key factor for the success of the monarchs’ annual life cycle. Unlike the short-lived summer generations, winter butterflies live 7-9 months – surviving a long southward migration, several months in Mexico, and a northward migration back into the southern United States. 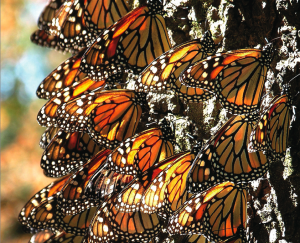 In central Mexico, monarchs find the south facing slopes of the mountains and settle on branches of oyamel fir trees where they cluster in large masses to conserve heat. The temperature and moisture allow them to go into a torpor. In this way, they can reserve their energy until the warmer spring weather returns. In February, warming temperatures and more daylight trigger the development of their sexual organs.The monarchs become ready to mate and to lay eggs as they move northward. Once they become reproductively active, they’ll only live another few weeks. 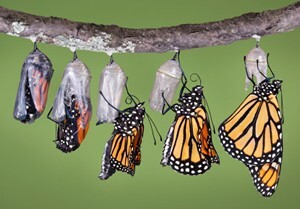 Their eggs then mark the start of another annual life cycle, as the first generation of monarchs is born again. This first generation of monarchs, followed by three to four summer generations, and a final fall migrating/overwintering generation together makes up the annual life cycle of the Monarch Butterfly species. Monarchs have evolved to live this way, with special adaptations that allow them to survive seasonal changes to their habitats. 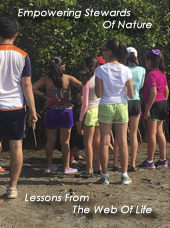 Nectaring plants, one species of milkweed, water, and the oyamel fir forests in Mexico are all crucial to allowing this annual life cycle to continue. 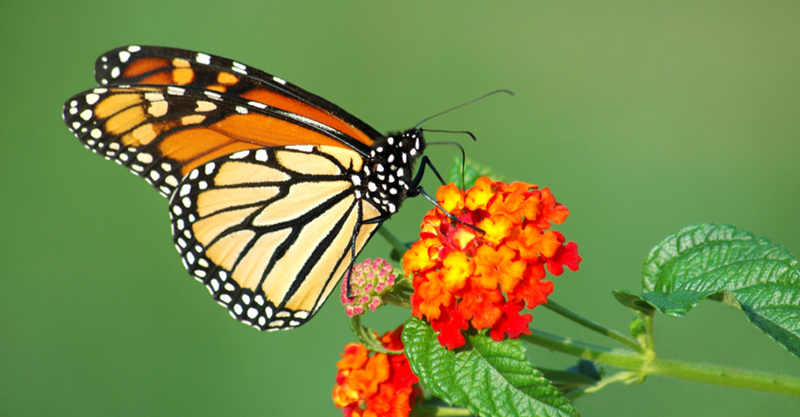 The Monarch Butterfly appears to migrate for two reasons. First, it can not withstand freezing winter weather in the northern and central continental climates. Also, the essential larval food plants, such as milkweed, do not grow in their overwintering sites. So, the spring generation must fly back north to places where these milkweed plants are plentiful. Although a delicate species, it amazes me to learn that the Monarch Butterfly migrates up to 2,000 miles, can cover as much as 100 miles per day, and fly at an altitude of 10,000 feet. Unlike other migrating species such as birds and whales, the wintering generation of monarchs has never been to the overwintering destination before. In fact, four to five generations of Monarchs have lived and died since last year’s butterflies departed. It is generally believed that migrating whales and birds acquire some of their navigation skills from the cultural imprinting by previous generations. The Monarch Butterfly, with its annual cycle of multiple generations, would not be able to employ cultural imprinting. The only probable explanation is genetic. If so, this speaks well for E.O.Wilson’s theories of sociobiology where genetic imprinting is a key factor. The iconic Monarch Butterfly, along with bees, are key indicators that there are changes taking place in our environment. In central Mexico, for the first time, the Monarch Butterfly arrived a week later than usual, and in record-low numbers. The largest population of monarchs occurred in 1996-1997 when the colonies covered over 18 hectares and contained an estimated one billion butterflies. To date the lowest population recorded was in 2013-2014 with 0.67 hectares and approximately 33 million monarchs. Some experts fear that the spectacular migration could be near collapse. The story of the severely declining monarch population is only one of many alarming stories about dramatic declines in insect populations. Another insect in serious trouble is the wild bee, which has thousands of species. Nicotine-based pesticides called neonicotinoids are implicated in their decline, but even if they were no longer used, experts say, bees, monarchs and many other species of insect would still be in serious trouble. That’s because of another major factor that has not been widely recognized: the precipitous loss of native vegetation across the United States. A big part of this story is the way the agriculture industry operates in the United States. Corn prices have soared in recent years. Federal subsidies for biofuels have provided incentives for farmers expand their fields. That has meant plowing any piece of ground that can grow a corn plant. Millions of acres of land that were once reserved by federal programs for conservation purposes now produce corn. 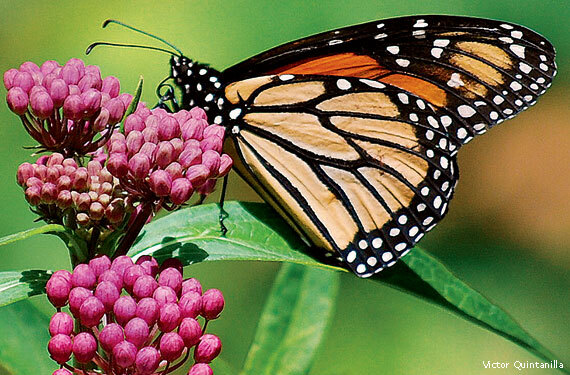 For the Monarch Butterfly, this means less milkweed. Another major cause for insect decline is the use of Roundup in agriculture. This herbicide kills all plants except crops that are genetically modified to survive it. Consequently, millions of acres of native plants have been wiped out. Roundup has wiped out milkweed in many areas. One study has shown that Iowa has lost almost 60 percent of its milkweed. Another study found that 90 percent of milkweed plants have been destroyed by Roundup. Yet another cause for the decline in insects is the destruction of their habitats by humanity. People have replaced Nature’s diverse natural habitat with roads for automobiles, parking lots, and lawns. Plants that people select for their homes are showy and colorful, but not of any value to insects. So, the grocery shelves are nearly bare for bugs and birds. Dr. Tallamy says that a home for bugs is a matter of food security. “If the bees were to truly disappear, we would lose 80 percent of the plants. That’s a huge problem for mankind.” If we destroy our insects, we destroy a vital energy link in the energy cycle needed by mankind for its survival. Simply put, if there are no bugs, there will be no humans. The aesthetic, the spiritual, and the scientific worldviews all seem to come together for me when I look at the life of the iconic Monarch Butterfly. However, along with the good feelings associated with beauty, a holistic sense, and new knowledge, this insect carries the story of mankind breaking vital energy connections in Nature. Through its life cycle and its waning population, the Monarch Butterfly is sending us a strong warning of future hardship and possibly our destruction. We need to make changes in our thinking about how we are all interconnected. And, we need to pass that message on to our children, our leaders, and to those whose purpose is to hold our public lands in trust. 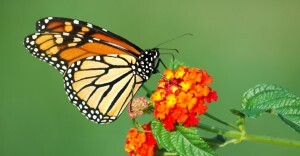 Here are some interesting and important web sites that will provide you with more detail about the Monarch Butterfly. Monarch Joint Venture – A monarch butterfly conservation group. Save The Monarch. A US Fish and Wildlife Service provides two information and action sites. One is here. And the other site is here . How saving one Monarch Butterfly could save the prairie. A Monarch Butterfly migration map for the spring of 2015. Here are two very interesting videos about the Monarch Butterfly and the threats to its survival. I want to thank learner.org, 1000birds.com, nwf.org, monarch-butterfly.com, and americanforests.org for the images in this post. I have a section in my blog entitled “Musings”. You can reach it by clicking on the menu tab near the top of my blog site. This area contains my growing list of posts that list web material that I have found interesting. You might stop by an take a look.